Go ahead… kiss the girl! 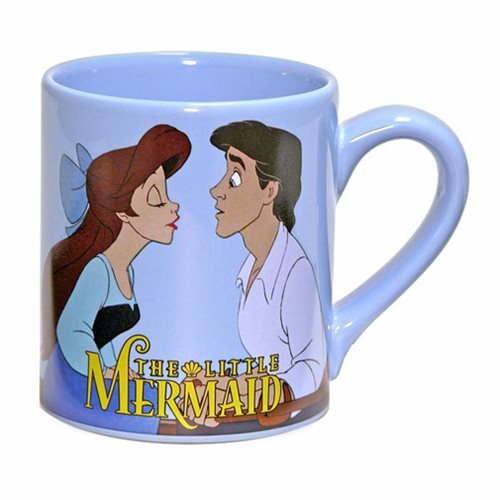 Mermaid Ariel and her Prince Eric are almost there on this enchanting The Little Mermaid Kiss the Girl 14 oz. Ceramic Mug. Hand wash only. Not dishwasher safe. Do not microwave. Ages 13 and up.